The Sunday Telegraph has tipped the new-look Spicks and Specks team: Josh Earl, Adam Richard and Ella Hooper. The three will form the next generation of Spicks and Specks when it is revived on ABC1 in 2014. The show was due to return this year but was delayed by the broadcaster. 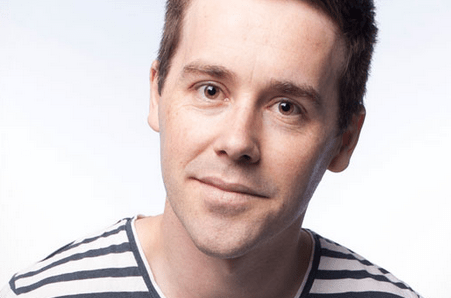 Comedian Josh Earl (pictured) has performed in comedy festivals, and appeared on Spicks and Specks, Talkin’ ‘Bout Your Generation and Adam Hills Tonight. He describes himself as an ex school librarian, ageing hipster and a cake enthusiast. “The format will be refreshed including new games,” an ABC spokesperson said. Josh Earl – Another musical “comedian” using songs to cover up the fact he has no jokes. Adam Richard is okay as a guest, but as a permanent cast member? His schtick is going to wear thin. Fast. No one knew who Adam, Myf and Alan were when it began. Give them a chance! I have to agree that the show should have a new title, given the new array of hosts. To cite ABC popular music history, Countdown Revolution was a flop but Recovery was not. Spicks and Specks was given a funeral. Let it stay dead. It’s life could have been extended through host replacement while alive, but it was not. What’s that old saying…you can’t catch lightning in a bottle. This remake is on a hiding to nothing. Ella Hooper is a great choice I reckon and I haven’t heard of the other two which is great considering what 10 do, with the same people in everything they trot out. Now just bring back GNW to the ABC where it belongs including Paul. I wish they’d simply ditch the name and start afresh – there’s definitely room for a music quiz show, but it’s fighting an uphill battle by retaining the brand. Just stop with the remakes of everything! I would much rather continue to watch the reruns of the old series, every night. Still funny. I don’t hold out much hope for a remake. Adam, Myf and Alan are hard acts to follow. I never though Adam Richard was very funny. Never heard of the new host. Ella Hooper is a good choice. Adam richard, meh. Don’t know who Josh is though. It won’t be as good as the original. Why don’t they just make up a whole new game show using these three? Earl has a very warm presence and comes across as a nice guy. You don’t need much more to host that show. Adam Hills (while I like his stand-up) was never particularly funny on the show. Adam Richard is horribly miss cast. ABC audiences will not watch high camp. You’ve only got to look at the ratings for Outland to realise that. They should have done what Buzzcocks and Have I Got News For You did when they lost their host, kept it going with revolving hosts and guests until they picked people. It would have been a great novelty and given them plenty of time to test people. I am a little disappointed they didn’t choose a female comic to be a team captain or the host. Adam Richard? Can someone explain his appeal please? I just don’t get it. Ella Hooper I agree with s she used to be a regular on the old version. Adam Richard is OK but don’t know the host so I hope he is as good as Adam Hills at keeping the show together.